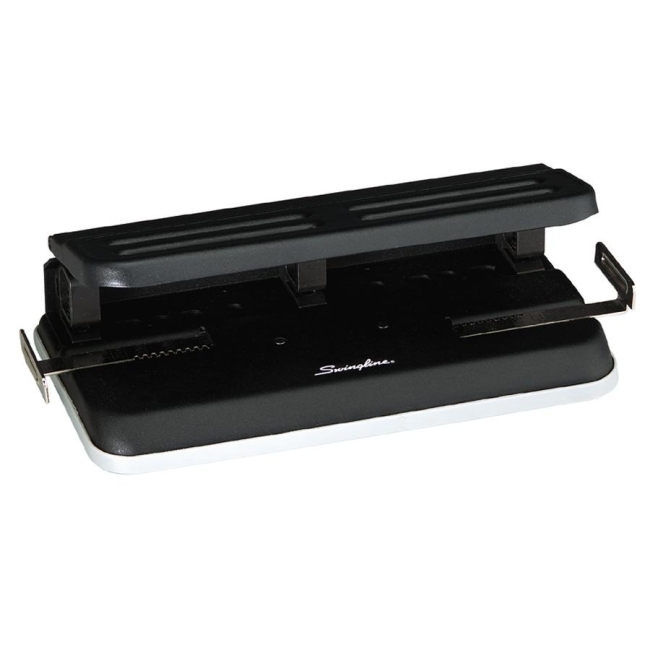 Heavy duty three hole punch offers durable all metal construction for everyday reliability, contemporary design, marproof base and patented pin technology for superior precision cutting of 9/32" holes. 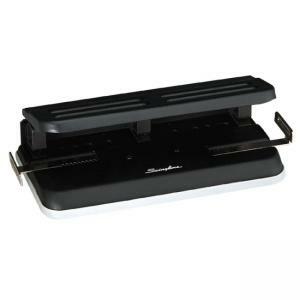 Centamatic feature provides accurate centering of paper and confident, clean presentations. Heavy duty punch includes three punch heads and accepts up to seven semi adjustable punch heads.